The Buddhist concept of “emptiness” can be one of the more perplexing teachings of the Dharma. Yet it is by knowing emptiness directly that we touch on the truth of who and what we really are. Emptiness provides the key to liberation by unraveling our patterns of suffering. This 10-month course will explore the teachings and practices that can help us see through our conditioned, constructed views into the open nature of reality. We will investigate what is meant by emptiness through an exploration of emptiness of self, emptiness of phenomena, and emptiness of awareness itself. We will learn how to repeatedly interrupt our fabricated and reified frameworks to discover a non-conceptual presence. Practice helps us shift from a limited ego-based identity to this boundless awareness-based presence. This undistracted, embodied awareness is unencumbered by the resistance, struggle and clinging that usually define our life. Little by little the tight grip of our confusion and fears releases into the openness of just being. By practicing “radical” mindfulness – an awareness that allows all experience to just be – we can begin to connect to our deeper nature beyond our surface dramas and our inner storyteller. Natural awareness is vast, empty and welcoming; we can learn to abide there. It takes a courageous and loving heart to face these existential truths. This NPP program will also include practices of compassion to help us be more at ease with ourselves and with the nature of reality. We will also examine how emptiness is the ultimate source of all compassion. Program is limited to 18 participants. 4) becoming more familiar with and confident in the direct experience of awakening. 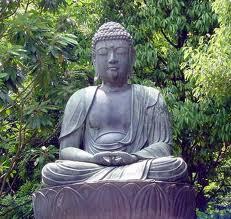 Walking the Noble Path of the Buddha means that our life becomes a conscious journey toward freedom and awakening. • Your attendance at 2 weekend residential retreats. • Completing the readings, practices, and reflections that are assigned each month. • Monthly small group meeting. • Individual interviews with Carla Brennan every other month. • Monthly meeting with your dharma buddy. • Although 100% attendance is not required, you will be expected to attend at least 80%. It is particularly important to attend the two weekend retreats. • You are also asked to attend at least one 7-day or longer silent residential retreat during the year with an Insight Meditation teacher or with a recommended Tibetan Buddhist or Zen teacher. Thursday, June 7- Sunday, June 10, 2018, Weekend Retreat, Jikoji Zen Center, Details TBA. The daylongs will be 9:30 – 4:00 pm and meet in Santa Cruz. The monthly small peer groups, dharma buddy communication and individual meetings with Carla will be scheduled as convenient. This program is for people with experience in the practice and study of Buddhism. Although having experience in Insight Meditation is recommended, if you have extensive experience in another Buddhist tradition, you may also apply. Requirements include that you have been practicing Buddhist meditation regularly for at least 5 years and that you have been on silent residential retreat for a combined total of at least 20 days, with one of those retreats being at least 7 days. You also need to have a basic familiarity with Buddhist foundational concepts such as: the 4 Noble truths, 8-fold path, 4 foundations of mindfulness, 5 hindrances, 10 paramis, brahma viharas, annicca, dukkha, anatta, emptiness and nibbana. The weekend retreats will have fees to cover accommodations and food. (Partial scholarships are available.) We will attempt to keep expenses as low as possible. You will be notified of these costs when they are determined. You will need to get the book, Emptiness: A Practical Guide for Meditators by Guy Armstrong and Small Boat, Great Mountain by Ajahn Amaro. There may be additional books recommended. Support of the teaching will be on a donation basis; there will be a suggested sliding scale. You are free to donate more or less. Please consider a donation amount that covers the entire program, even for those retreats you do not attend.